The year-over-year drop in new-vehicle sales in April was enough for Scotiabank to revise its annual sales projection to fewer than two million vehicles for the first time this year. 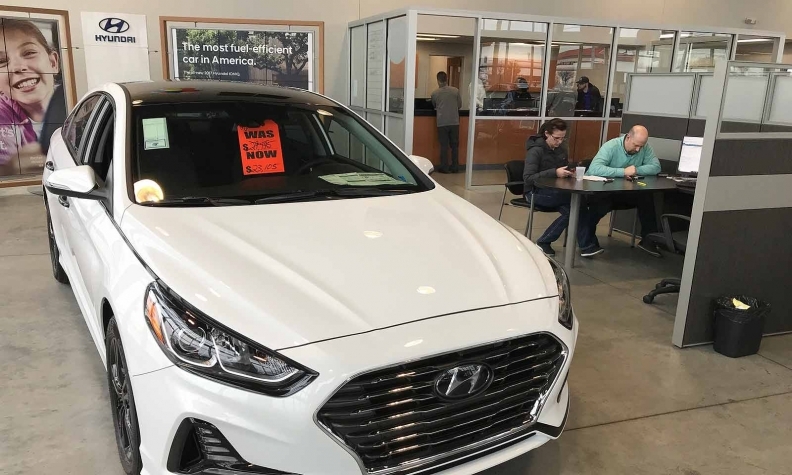 Canadian new-vehicle sales were down 2.7 per cent to 192,388 vehicles in April, marking the second consecutive month of decline, according to the Automotive News Data Center in Detroit. “We estimate that the latest fall-off reduced purchases in April to an annual rate of 1.95 million units, down from an average of 2.08 million during the first quarter,” the bank said in a statement. Scotiabank also at one point had projected a 2018 sales total of 2.053 million, which still would have set a new record. But the revised estimate issued late Tuesday came just two days after Scotiabank’s April 30 Global Outlook forecast annual sales of an even two million vehicles, still down from the record 2.04 million sold in 2017. In that report, Scotiabank projected a decline in sales because interest rates are expected to rise this year. Light trucks continued to power ahead for most automakers in April, with purchases climbing 2.2 per cent year over year in April and garnering 70 per cent of the Canadian new-vehicle market, up from 66 per cent last year. "Despite the market's orientation towards light-duty trucks, we still saw lower sales – and in some cases significantly lower sales – at each of the Detroit-based companies, which is somewhat counter-intuitive," said David Adams, president of the Global Automakers of Canada. The Detroit Three accounted for much of the weakness last month, with their overall volumes falling 6.9 per cent below a year earlier, largely due to a 18 per cent slump in car sales.